I recall our learned friend Anne Thompson responding with scepticism when I mentioned over a Cannes lunch that I expected Michel Hazanavicius’s “The Artist” to be a major player in this year’s Oscar race. Looks like Anne has come round to the idea over the summer, as she — together with Steve Pond and David Poland — placed the film in her top spot on the Gurus o’ Gold’s Best Picture chart. I’d be right there with them. The Weinstein Company’s marketing push for the audience-friendly silent-cinema homage begins today with a supremely elegant poster that puts its Cannes-honored star to the fore, and nails the film’s vintage romantic allure. Nicely played. Check it out after the jump. Beautiful! I am jealous Guy. This is one of the films this year that I want to watch the most. To put it simply, Beautiful. so its silent, is there any music? is that a dumb question? Beautiful and classy. But will the general public go for it (not that I care what they think)? americanrequeim: The poster says on the bottom it has an original soundtrack, so there’ll be some music here and there, I suppose. I think if they re-open TOL I’ll see that instead of this. A silent film is where I draw the line in terms of personal patience. 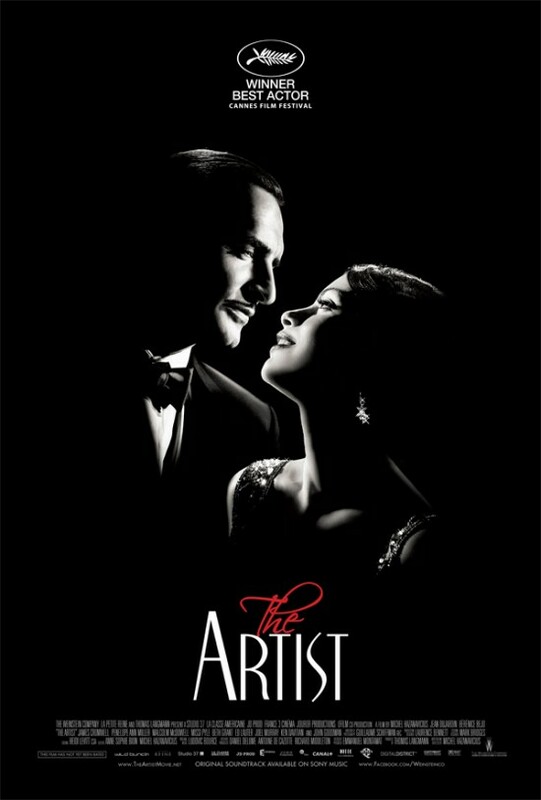 “The Artist” poster is a work of art! Very classy. Stunning in a simple, delicate way. @americanrequiem: It’s not entirely silent. There’s a very prominent (and gorgeous) score, and the film plays some smart games with sound. @RyanT: What kind of “general public” do you mean? It goes without saying that the Transformers crowd isn’t going to turn up for this — but I think it’ll be a huge crossover hit on the specialty circuit. With a knockout Weinstein trailer, I could see this making a good $10-15 mill in the US with the art house crowd, if not more. And people like you are why we can’t have nice things. I was lucky enough to see it last Sunday at the Festival des Films du Monde de Montréal, where it had its North American première. Yes, there is a very good soundtrack, one that I’d like to see get an Oscar nomination. Don’t be put off by the idea of a silent film; it works quite well. I can see it being quite a hit among movie buffs, and maybe crossing over to at least some of the general public.